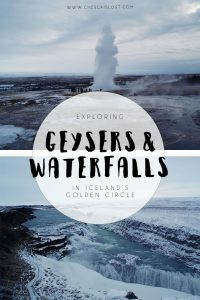 Touring the Golden Circle will bring you face to face with Iceland waterfalls and geysers. 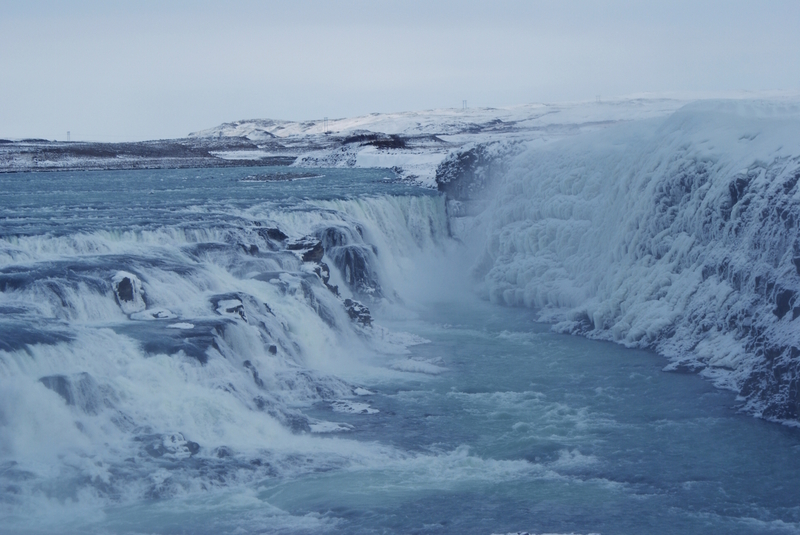 Gulfoss is a thunderous monster, even when half frozen. Cascading through the Hvita canyon, it carves it’s way through 100ft of rock, creating a gaping chasm over 60ft wide. 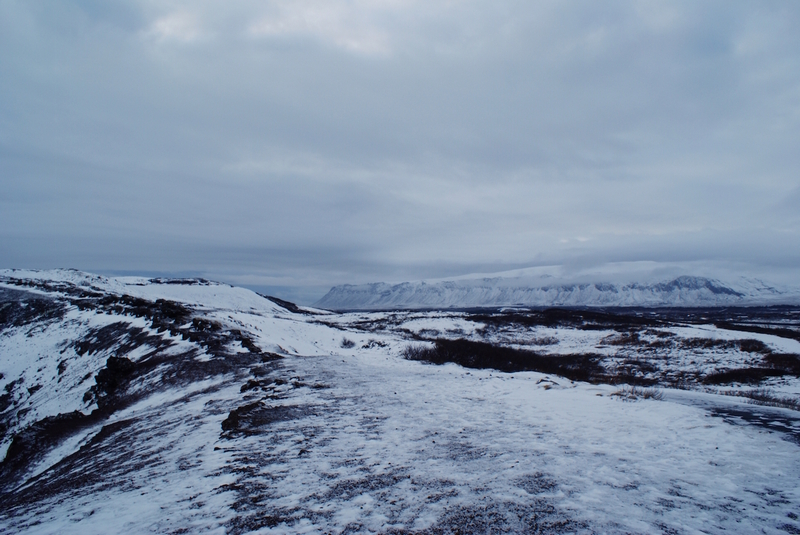 The path leading down to the viewing posts was a pure sheet of ice, and I had to clamber onto the ‘dangerous’ side of the fence to stay safe, clinging to strangers and laughing at what I’ll do for a photograph! 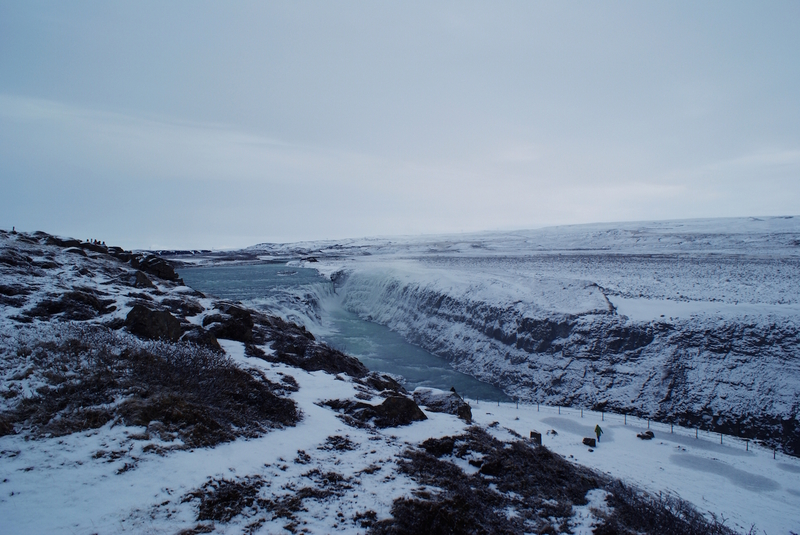 The landscape surrounding Gulfoss feels boundless, a neverending blanket of snow and ice, broken only by the distant glaciers. 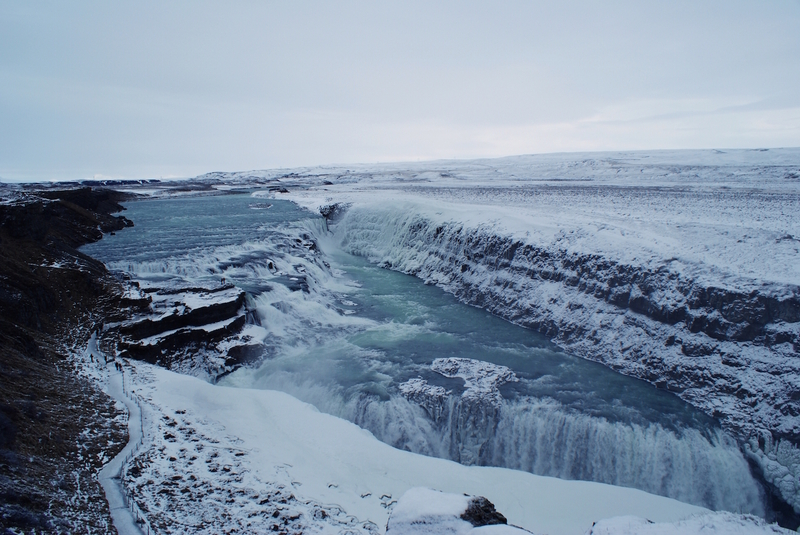 Listening to the roar of the waterfall and standing in this timeless place is a humbling experience. I left the cascading river to find water that flows in a slightly different direction. 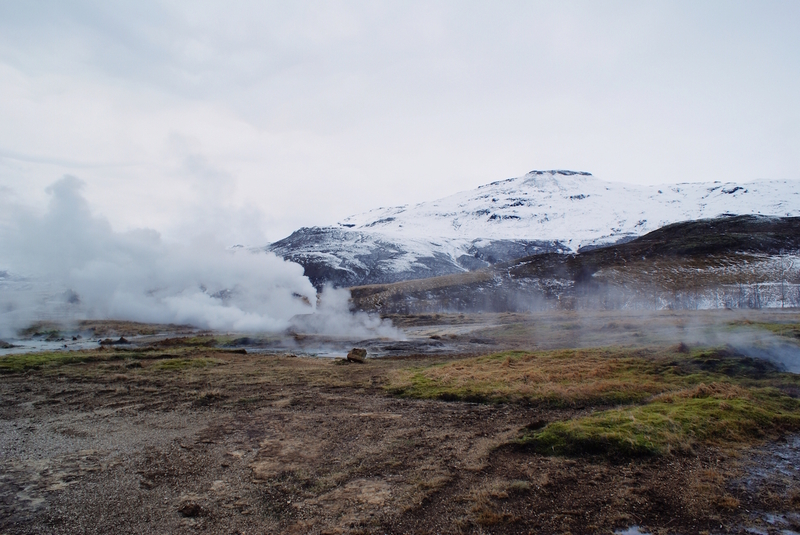 The final stop was at the geothermal Haukadalur Valley, where the earth smoulders and geysers shoot water and steam high into the air. The landscape isn’t passive here; it’s alive and erratic, a tempest of activity that is a pure pleasure to stroll through. 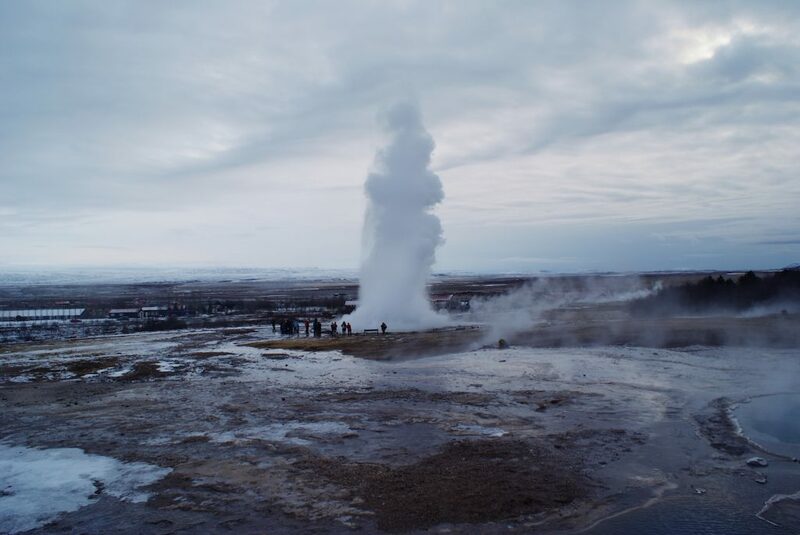 One of the geysers, Strokkur, politely erupts every few minutes, throwing water up to 30m high for your viewing pleasure. 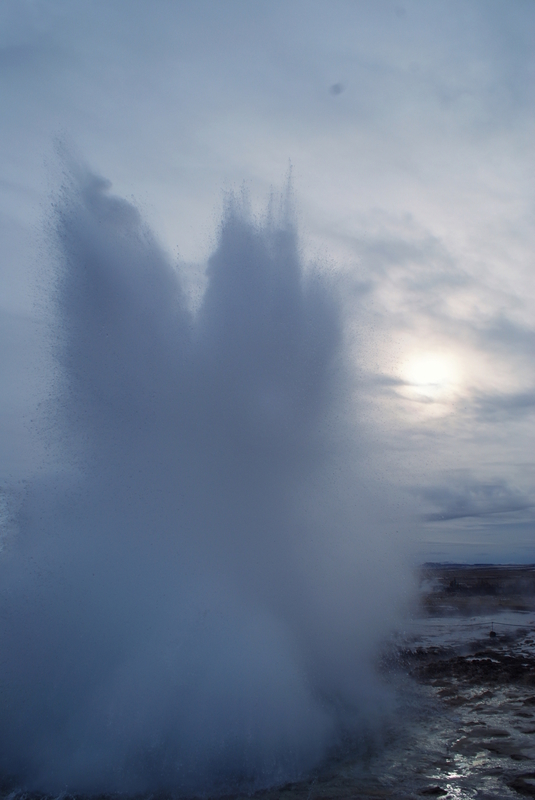 … and so ended my stay in Iceland. 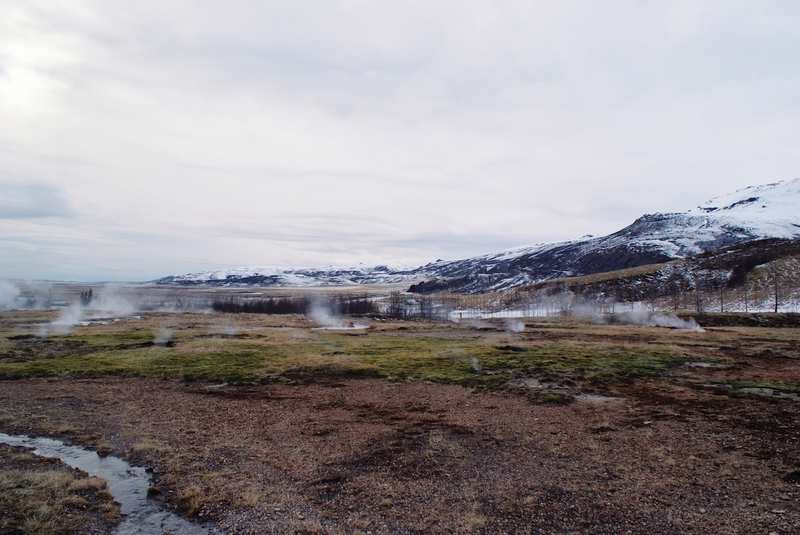 The few days I spent exploring the Iceland waterfalls, geysers and rift valleys didn’t even scratch the surface of this country. It’s a wild place that feels untamed by mankind, where you can lose touch with the outside world and get back in touch with yourself.